Protein bars can often-times be glorified candy bars, so beware! Some of them can pack as much sugar and saturated fat than your favorite candy. 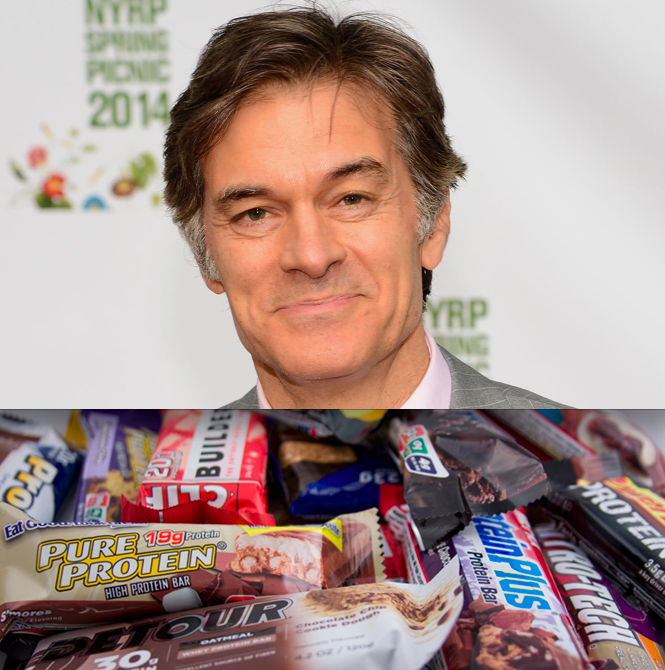 Dr. Oz comes to the rescue, and shares his protein bar rules and which maybe the right one for you! Less than 15g if sugar. Less than 4g saturated fat. Some protein bars don’t even contain protein! and others have more than your daily servings of sugar for the day. Make sure you are looking at the nutrition labels before you take a bite. Now, depending on what your goals are will determine which protein bar is right for you. Dr. OZ gives his advice on which one is right for you with 3 categories; Weight loss, energy, or just a snack. If you are looking to lose weight, you will need some fiber in your bar of choice, to help you stay full longer without taking in a lot of calories. 9 grams of fiber or more, and if you are not regular going to the bathroom, this will definitely help you out. Quest bar – coconut 17g of fiber. FiberOne – chocolate peanut butter, 9g of fiber.